Ross Ewing Takes A Look At Drugs And The Pilot. Peter Clark Join a RNZAF Boeing 727 Destined for Hong Kong. ""Just Like A Great Big Hiller"
Roy Sinclair Collects Together Memories Of Engineer Len Mangham. 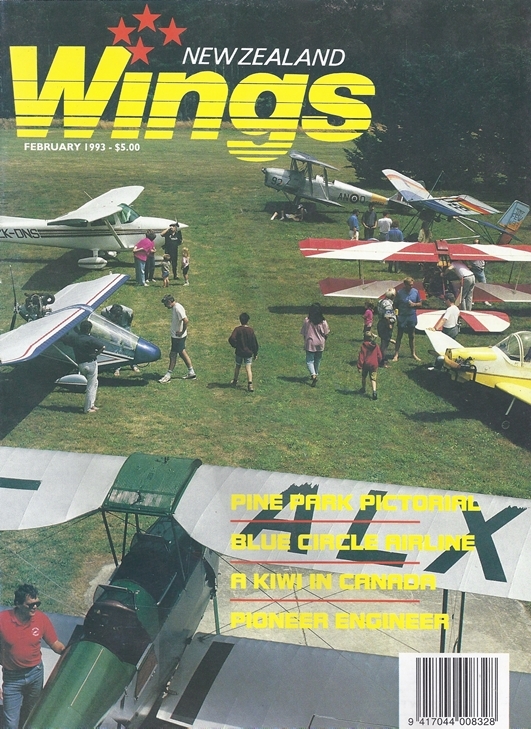 Twin Britten-Norman Islanders Of Aspiring Air Over Lake Wanaka - Alastiar Mcmillan In ZK-EVT (Foreground) And Graham Lloyd In ZK-EVO. John King Photograph.